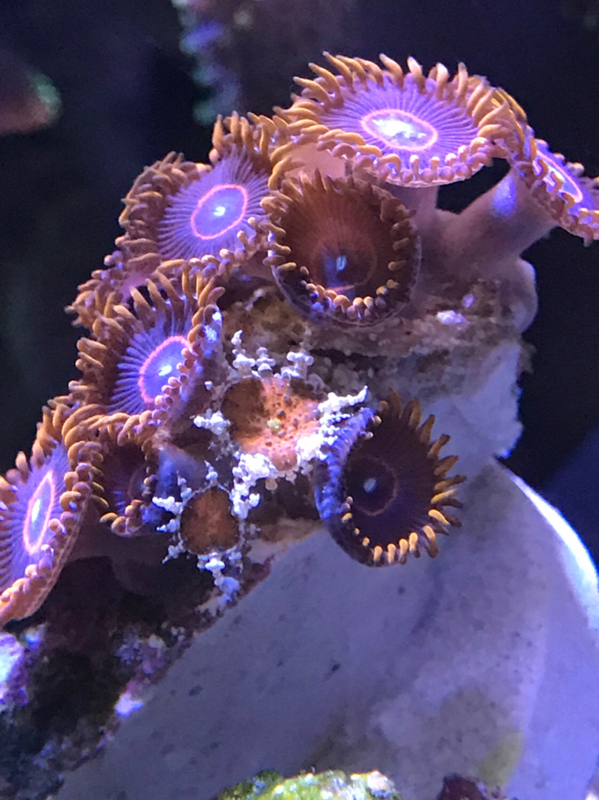 Purchased these red hornet at my LFS, at first glance i thought there was sand on the frag, but took a closer look, and found a red zoanthid with a white perimeter... anyone seen these before? My first thought was some sort of nem. I don't know much about them, but the bad ones seem to outnumber the good ones, so I super glue over them. If you want to get rid of them, I'll pay postage ... I'm running a pest tank. pretty bummed its a pest, i thought i got a bonus, thanks for the input everyone! Hmmmm, I respectfully disagree with the others. 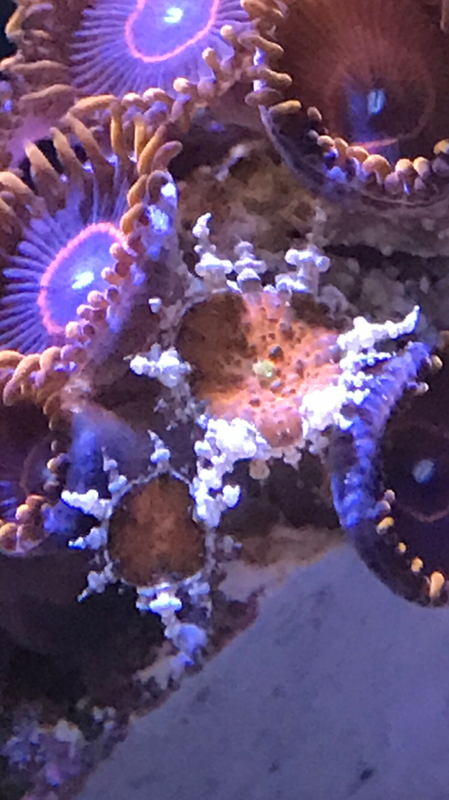 If you can keep the frag in a separate container in your tank, I encourage you to grow these out and see what they turn in to. 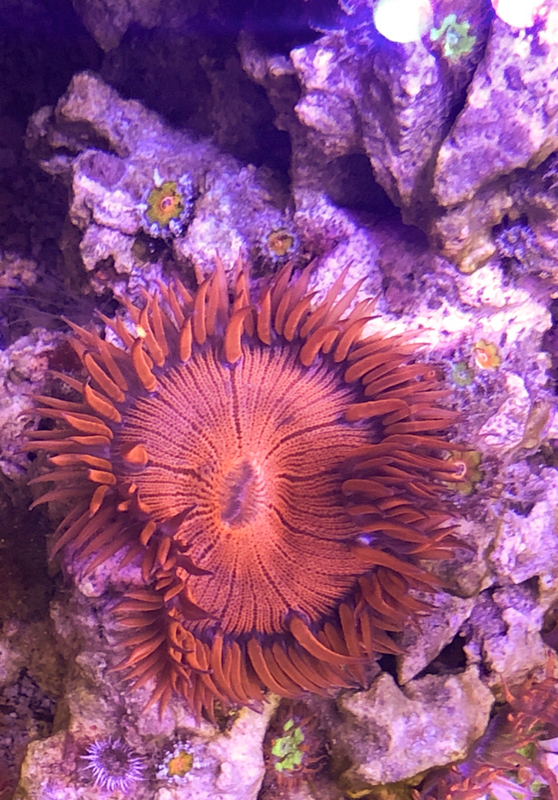 Definitely not the typical majano or pest anemone. I would just keep and eye on them if they start multiplying might want to try and get them out.